To reduce our impact on the environment we can reduce our reliance on petrochemical products and energy. To increase local resilience, building local solutions to our needs is necessary. 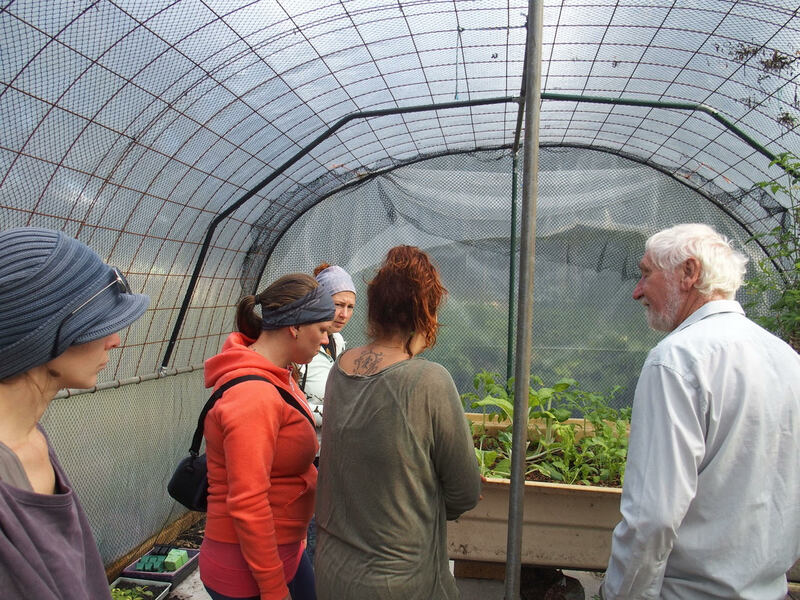 Peace Valley uses solar power, generated on site, local water collection, and compost toilet systems. It will aim to be a plastic free zone over time. Currently plastic is used as recycled or recyclable items e.g. the water tanks, tents and the tarp. It's important to be self reliant as far as possible for food production. To this aim the first experimental vegetable gardens were started. An area near the campsite was chosen which is sloping gently to the NE. It has full sun both winter and summer. Evening shade comes early due to the trees and the ridge to the west. This is an advantage during the hotter months. As the camp sits at a low point on the property the garden is in a frost hollow, altering what vegetables can be grown through the winter. The bedrock is Rhylite which is very close to the surface in large flat sheets, the soil is therefore shallow and deficient in calcium and magnesium. 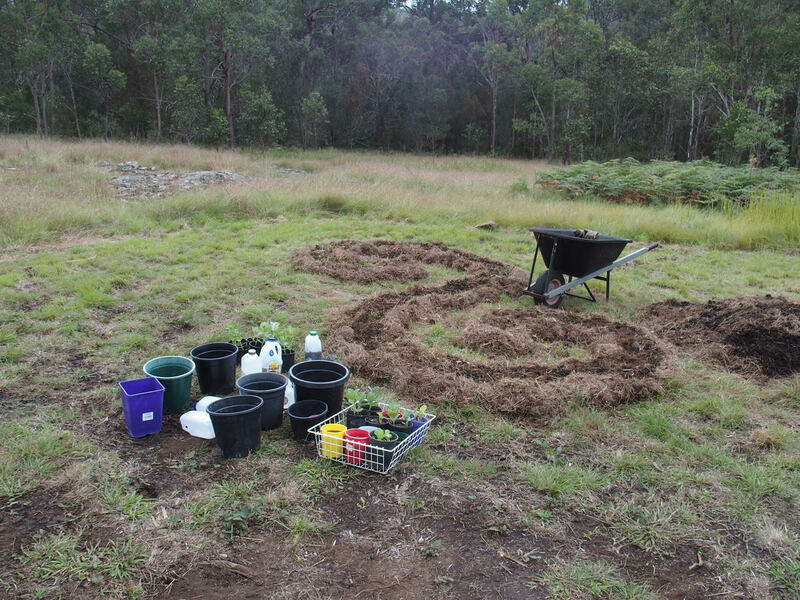 After taking these things into account it was decided to create raised beds, to add basalt soil from another area at Bindarrabi and to enrich this with ground dolomite stone. Thick layers of grass mulch were used to kill the underlying grass and soil was added on top of this. Another thick layer of mulch tops the beds off to protect from drying out and to maintain a steady temperature for the plants roots and the microorganisms in the soil.